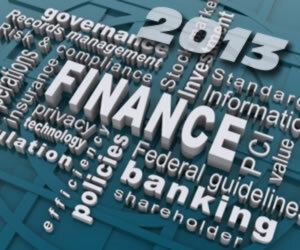 Wondering what lies ahead of 2013 in terms of personal finance and credit? We were wondering too, so we scouted around to see what the experts are saying – brace yourself – it’s looking like another bumpy ride in some ways, but there’s also a lot to look forward to in what promises to be an improving economy – provided, of course, we can find our way to the end of this bleak year. First things first – have you tried to make heads of tails out of the fiscal cliff? Hitting a brick wall because no one can even agree on whether it going to be an event that results in a group of non-plussed financial analysts or panic on Wall Street similar to the infamous crash that led to the Great Depression? Trying to understand it as become difficult, mostly because not only can our politicians agree on nothing in the discussions, they can’t even agree on what it all means should they not pass a deal. That said, based on our own analysts’ thoughts, there is a bit of good news on that front. Of course, it’s not ideal. After all, if this group of adults fail in this important event, it first speaks volumes about each of them as leaders and us as a nation who elected them into office. That might be the hardest reality of all. Aside from that? Even if worse case scenario comes full circle, we fall off and then after the initial panic of massive tax increases wears off, it will likely be no more than even more frustration towards lawmakers who will eventually get their heads out of the sand and figure it out. It will likely come to that – they’re ready to bail for the extended holiday break. Bottom line? Don’t panic. It’s not as “doom and gloom” as some would have us believe. Here are the kind of predictions we like because it tells us all we need to know about our readers and consumers as a whole. Credit card offers are going to come back strong. We’re already seeing this trend set itself up. That’s good news for each of us and our economy. Keep in mind, too, that less than 50% of Americans now have what’s considered “excellent” credit. That means some consumers who might have taken a hit, but still have reasonable credit scores will see opportunities to right those wrongs and it will be easier than than ever before. Look for extended intro APR, extended balance transfer offers, better rewards programs and fewer annual fees. We know the mobile wallets are the next big thing. What we’ve not be entirely sure about is our attention span when it comes to this latest technology. The sentiment we hear from readers is simple: it will be a nice add-on when I actually have money to spend and save. In other words – we’ll keep it on the back burner until the improving economy finds its way to our wallets. That said, we’re already seeing great strides in how we’re shopping this holiday season, so it stands to reason this time next year, we’ll be taking advantage of even more coupon codes delivered right to our hand held phones. Free shipping offers and big discounts for those who do use their smartphones to shop could follow, too. Remember the mention that half of Americans don’t have excellent credit? And remember the controversy our banks have stirred time and again in recent years? With more Americans becoming greedy with their loyalties, we can expect the big banks to take a hit when it comes to their traditional bank account and mortgage holding customers. As my southern grandmother used to say, “A bellyful is a bellyful and I done got me a bellyful”. Southern grandmothers are firecrackers like that, you know. So what are going to do when we reach our respective limits with the banks? We’re going to be turning to prepaid debit cards; in fact, experts say this is one sector that is sure to experience major growth. Remember all of those credit card financial overhauls of recent years? And how bank CEOs have fought tooth and nail, to the point they shoveled millions of dollars to Mitt Romney because he said he would overturn those laws? Well here’s why: both the Credit CARD Act and the Durbin Amendment have made these products much more affordable, even more so than traditional banks. Those banks ave turned to some risky revenue earners to make money and in the process, they’ve upset their customers. Not only that, but because of those laws, issuers of prepaid products are now also limited in how much they can charge. It’s resulted in big changes in this sector – so big that even those big bank CEOs see the opportunity they offer and they’ve now created their own prepaid debit card products. Banks have already lost an estimate $8.5 billion to the prepaid area of credit. With more government agencies now preferring to direct deposit benefits instead of mailing out costly paper checks, we can also expect to see those expensive cash checking services begin to recede. They are now no longer the only option for the nation’s unbanked and underbanked. This area of finance has also come under fire for its excessive fees. Consumers are fed up with all of these fees. And now, they have a choice. Their voices are being heard loud and clear. Finally, expect to see more bank layoffs; in fact, Citigroup announced hours ago it would be cutting 11,000 jobs – which totals about 4% of its total workforce. And those cuts are coming right out of its consumer departments. So what are your predictions for the new year? Think the financial sector is going to become a bit more consumer friendly? We have CFPB to thank for that and analysts say we should be seeing a lot more approvals than denials. Sound reasonable or do you think we still have a tough year ahead of us?